For many years, I’ve wanted to come to Palenque. Since my first trip to the Mundo Maya in the early 90s, when I did a shoot at Chichen Itza with archeologist David Freidel, I had heard that Palenque — a classical period Mayan city in what is now in the Mexican state of Chiapas — is in a spectacular location and features incredible art on its walls and inside its temples. That is absolutely true. The ruins are surrounded by lush forest and the site lies in a hilly area with a stream running through it. Some bas reliefs and sculpture are left in situ to enjoy. But the museum houses the more important artifacts (well, those that haven’t been sent to other places), including ornate and colorful clay censers, and a replica of the tomb that was discovered below the Temple of the Inscriptions (photo above). Tomorrow, I’m taking a long day trip to two other Mayan sites in Chiapas: Bonampak, with its vibrant murals, and Yaxchilán, which is only reachable by boat. 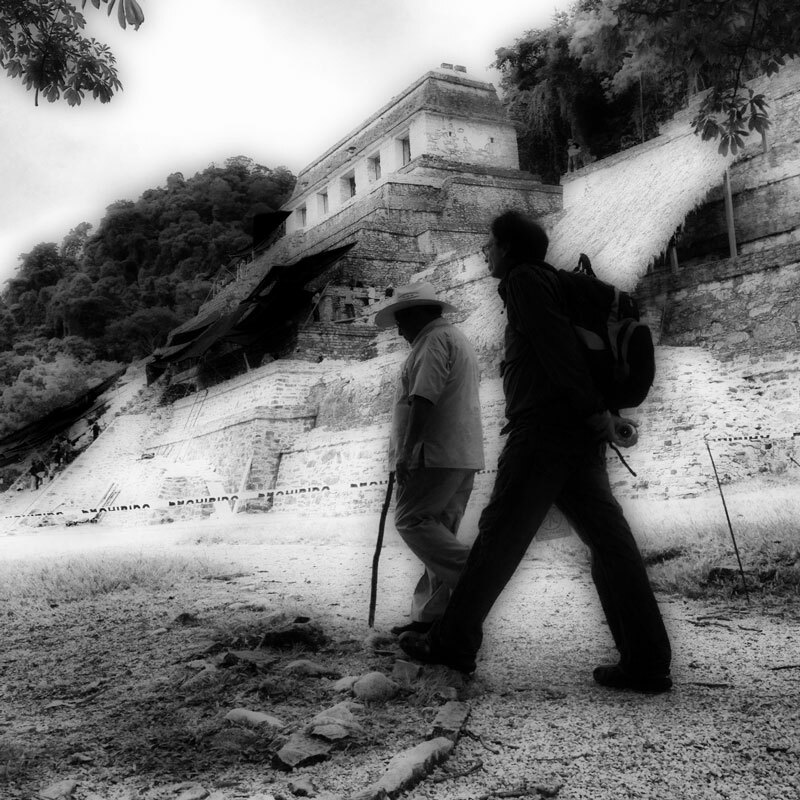 Below are some instagram photos of Palenque.